Matson Inc. collects information by various methods including information actively provided by its lead providers, its customers, and information arising from customer surveys and general feedback. This information is used to aid in the provision of our various products and services, including customer service, accounting, billing, collections, and the marketing of other products services. Matson Inc. may use aggregate or anonymous information for various uses for itself and third parties. Matson Inc. does not share personal information with any third parties except as disclosed in this policy. 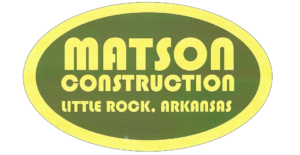 Matson Inc. may provide personal information to Matson Inc. subcontractors and professional advisers (which shall be bound by privacy obligations) to assist Matson Inc. uses disclosed herein. Individuals may review their personal information contained in Matson Inc. files by contacting the Matson Inc. privacy officer. If an individual believes that any of their personal information is inaccurate, we will make appropriate corrections. Matson Inc. may amend this policy from time to time. If such amendments affect how Matson Inc. uses or discloses personal information already held by Matson Inc. in a material way, Matson Inc. will obtain consent.